The Canton of Vaud, a wine-producing region, is a land of excellence for gourmets. The “Vaud Wine Tourism” certificate recognizes all professionals working in the hotel and restaurant sectors who place a higher value in the quality of their touristic and gastronomic offer. La Côte is a wine producing region between Nyon and Lausanne. It takes advantage of the protection of the Jura mountains’ on one side and Lake Geneva’s moderate temperatures on the other. Wine characteristics depend on the soil composition: loose gravel at lower elevations by the lake yields very elegant wines while heavier soil at higher elevations produces more structured wines marked by floral and fruit notes. Located between Lausanne and Chillon, Lavaux boasts a spectacular terraced landscape overlooking Lake Geneva. The vines receive abundant sunshine thanks to their ideal exposure and the reflected sun off the lake. The heat of the sun is stored in the stone walls. The wines are structured and complex, characterised by lasting notes of honey and char. 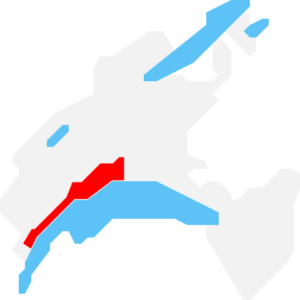 Calamin is nested between the village of Epesses and Lake Geneva. Chasselas thrives on its unique soil, giving the wine a rich aroma with notes of caramel and hints of chalk. Calamin wines are classy and dense: they are typically smooth on the palate, slightly sappy and bitter, which adds a touch of virility. The Dézaley wine area, located entirely within the district of Puidoux, is famous for its steep slopes and stoned walls hugging the hillside. Chasselas reigns supreme here, covering 90% of Dézaley’s surface area. The terraced vines’ exceptional sun exposure results in full-bodied wines with a remarkably long finish. These are complex, well-structured wines, with notes of almond and toast, ending with tea and honey notes. The Chablais wine region sits between Lake Geneva and the mountains, stretching from Villeneuve to the Canton of Valais border. Its rocky soil and exposure to the foehn winds, allow the grapes to dry and give wines a forceful, mineral character. Elegant, aromatic and rich, Chablais wines are renowned for their fruity nose with flint notes. 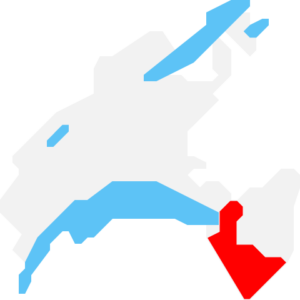 The Bonvillars wine-producing area can be found on the Canton of Vaud side of the shores of Lake Neuchâtel. The area enjoys a very favorable microclimate with the lowest precipitation average recorded in the Canton. It stretches from Montagny-près-Yverdon to Concise, with many small villages in between. The wines take their characteristic notes from the limestone rock and the gravelly, mineral soil that makes the terroir. 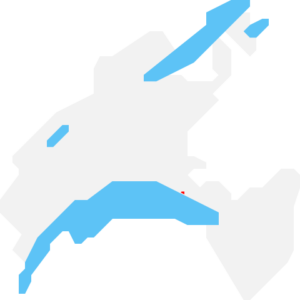 The Côtes-de-l’Orbe wine region is located halfway between Lake Geneva and Lake Neuchâtel. It stretches across 20 towns and villages, from La Sarraz to Yverdon-les-Bains. Molasse, limestone and clay soils give the area its diverse terroirs, with grapevines benefiting from mostly southern exposures. The Côtes-de-l’Orbe’s dry climate is ideal for red grapes, which account for 75% of the region’s wine production. The Vully wine region, on the foothills of Mont Vully, straddles an area bordered by the cantons of Fribourg and Vaud. It sits on Aquitanian limestone deposits, which layers of sandstone and marl resemble each other closely. 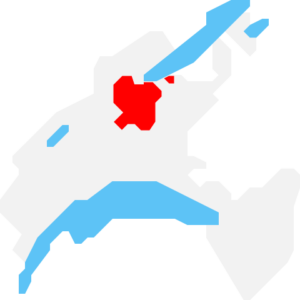 The small but highly regarded Vully wine area totals 153 ha, of which 51 ha are in the Canton of Vaud and 102 ha are in the Canton of Fribourg. Its delicate wines are well-balanced, full and round, with notes of citrus fruits.